Absolutely love these reusable messenger bags. They are unique and at a very affordable price point. Thank you so much CEP. My logo came out great on this bag that you guys designed for us. I'm so pleased with how my bags came out. Will be back for more bags no doubt. Bought these in a bulk order to give out at my most recent convention and everyone loved them. Great company to do business with. Bought these reusable messenger bags in a bulk order last week. I brought them with me to my most recent convention and they went over nicely. Big-time hit. Thanks. Great customer support from Custom Earth Promos. They were very patient with me and assisted me with any questions I had. Great response time. All my questions were answered promptly, with great feed back. 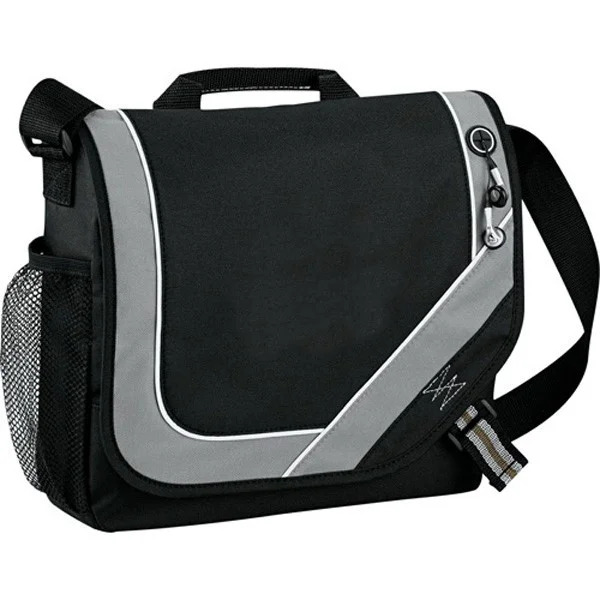 The perfect messenger bag! Love how clear my company logo came out! Thank you CEP! Custom Earth Promos was really on the ball with my order they were so helpful and made my bulk or simple. Very well made and the printing is impressive. I can be a real task staying organized on the go. These messenger bags really make all the difference. Plus they are eco-friendly. Needed a rather large order of messenger bags and only had a small window of time to receive them. Custom Earth Promos stepped up to the plate and got the job done. I really like this product. I'm always on the go and it holds everything I could possibly need. I wanted to add a new product to the kiosk I own. I customized these messenger bags, and they really have been a huge hit. 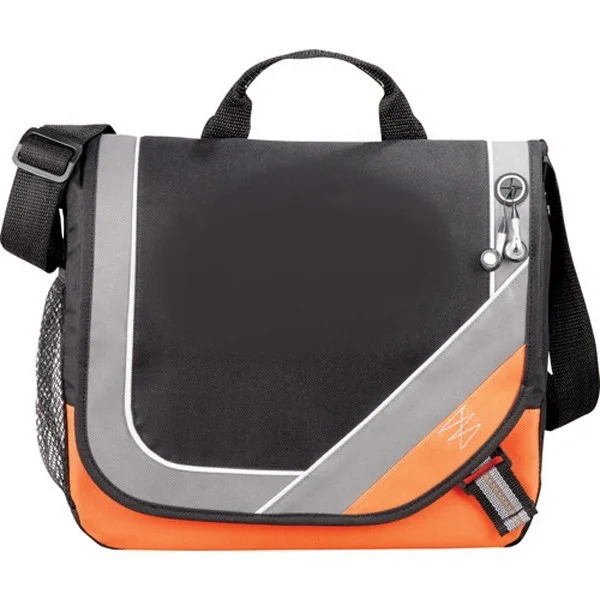 Designed messenger bags for everyone in the office. They get a ton of use. Cant say enough about this company. Very attentive to what my needs where, and I can be very picky. Class act. Thanks Daniele for all the feedback and helping me get my order together. Trying to order on budget can be trying at times. Custom Earth Promos was willing to work with me and met the demands. Pleasure doing business with you. Great teamwork. I got a ton of use out of my messenger bags. The great thing about them is they are recyclable, so you can always be earth conscience. Nice job with getting my order to me. Custom Earth Promos has always had my best interest, they really go above and beyond. Handy product. Good for work or play. From placing my order to the delivery date it was only a couple weeks. An electrifying appeal that delivers equally satisfying results, the Custom Reusable Messenger Bag is taking promotional events by storm! The reusable wholesale bag has what any marketing campaign accessory aiming toward success needs; noticeability, productivity and branded style. Marketing events, corporate gatherings, business conventions, customer get-togethers and so much more opportunity advancing occasions are propelled forward to success with the aid of these custom bags. 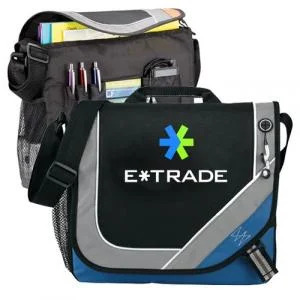 Custom Earth Promos' messenger bags are an eco-friendly, affordable tactic which guarantees a massive ROI in exposure, awareness, brand recognition and long-term profitability. Aside from its productive nature, these Custom Reusable Messenger Bags are also appreciable for their eco-friendliness. These recyclable messenger bags are the right way to do away with plastic bags that tend to have harmful repercussions on the planet. Businesses that support an environment-conscious cause, such as this, earn the trust of customers for their selfless and responsible ventures. Choosing to have wholesale Custom Reusable Messenger Bags at your advertising event is a no-brainer. Make the right choice and watch these promotional eco-friendly messenger tote bags spearhead your business convention event to success! With vibrant color options of black, lime green, orange, red & royal blue with a strategically placed 5" W x 4" H imprint area, the aesthetic impact of Custom Reusable Messenger Bags is both remarkable and memorable. Not only are these promotional products appealing and attractive accessories, they also serve to better the environment for future generations. Using these custom bags will instill an eco-responsible company culture that will be admired by customers, colleagues and employees. This will prove to set your business apart, standing out from the crowd and one step ahead of your competitors! Our wide range of decorative options can help in taking your Custom Reusable Messenger Bags to the next level. These decorative methods include silk screen, heat transfer, color fill, color stamp, emboss, epoxy dome and embroidery methods. Our in-house expert design team will work with you directly to define which methods will suit your promotional needs best, ensuring the final blueprint perfectly captures and conveys your brand message. Safety compliance is at the top of our list when managing the production process. We make it mandatory that all of our products meet the specified demands and conform to California's Proposition 65 guidelines, ensuring safety and high-quality. The Custom Earth Promos team addresses all orders with the utmost attention and efficiency. You can rest assured any custom additions like zippers, pockets, or Velcro closures will be added precisely as per your specifications. Our creative artists and manufacturing equipment are among the best in the industry, assuring product design and quality of the highest order! If you're stuck on sketching the custom graphic or design plan of your bag, our experts will be happy to assist you with recommendations and utilizing our years of industry experience and success, ensure the blueprint design of your order will encompass the perfect proportions of professional presence, creative display, and effective promotion. 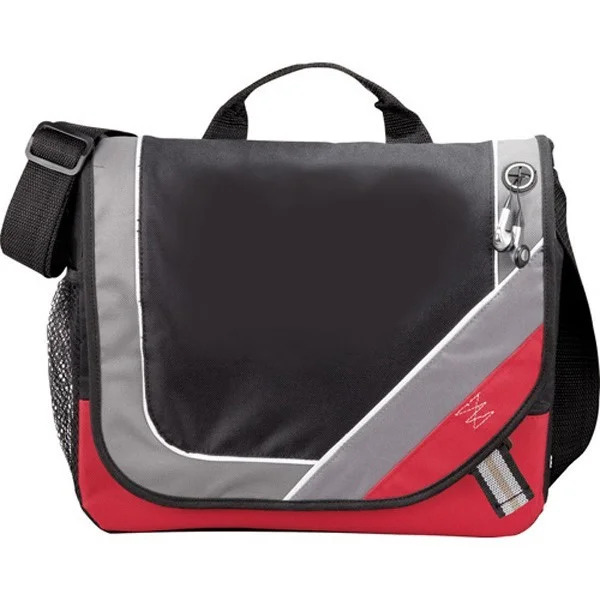 Once we receive confirmation of approval for the blueprint of your Custom Reusable Messenger Bags order, the streamlined manufacturing process will begin and you will soon have one of the most budget-friendly and effective advertising tools in your reach. 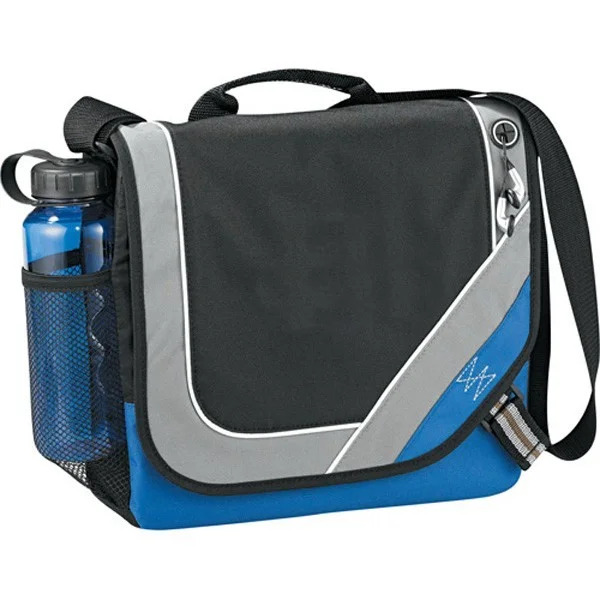 Armed with personalized messenger bags that are sure to impress, enter your next trade show, marketing or corporate convention with an exceptional sidekick to skyrocket your networking tactics, boost exposure and broaden your customer base.